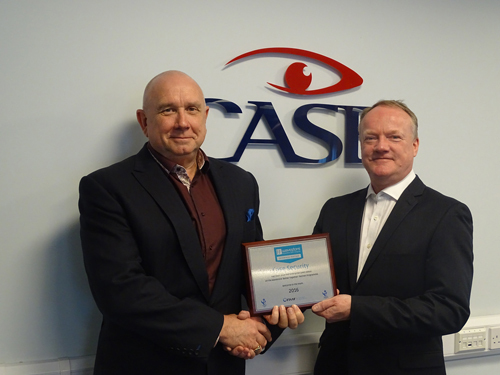 Wavestore has announced that Case Security has become the first systems integrator in the UK to be awarded Wavestore Enterprise level partner status. “We are proud to be the first in the UK to become a Wavestore Enterprise level partner,” said Dave Newbury, Managing Director of Case Security. “Most importantly for us, it provides an opportunity to work ever closer with the team at Wavestore and our distributor Mayflex, who first introduced us to the benefits of Wavestore’s VMS, to ensure we always meet our end-user clients’ expectations. Pictured are Dave Newbury, Managing Director of Case Security and Glenn Fletcher, Wavestore’s Head of Sales.